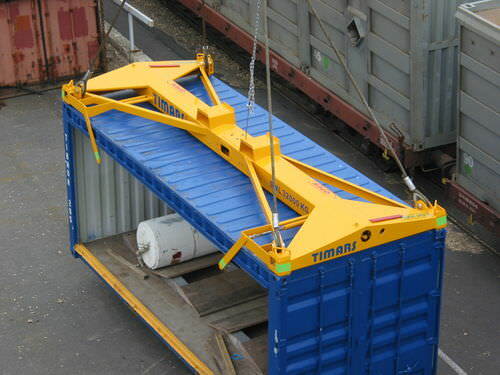 The Timars C-Lift is a semiautomatic fixed frame container spreader for the top lifting of containers by any kind of crane, such as quay crane, mobile crane and even on board a ship. The C-Lift is sold in 20ft, 30ft and 40ft models with safety weight load S.W.L. from 32 tonnes up to 40 tonnes. The C-Lift operates on the "gravity and lift" principle which means that the locking and unlocking of twistlocks is made by lowering and lifting of the spreader. Timars C-lift spreader can withstand tough climates and is of course CE-labelled. All spreaders are quality tested and test loaded.